Einstein famously said that you cannot solve a problem with the same thinking that created it, and he also said something about how insanity is trying the same thing over and over again expecting a different result. But isn’t this what we are doing with our projects? Trying to make our methods work, and hoping ‘this time will be better’? We might do this by doing more training and getting qualifications, even more checks, approvals and supervision, or focusing on building better teams and improving our relations with stakeholders. And whilst all these actions are not bad ideas in themselves, they don’t seem to be making things significantly better. The same seems to be the case for project management qualifications – how many people on becoming a PMP say “Now I know how to deliver my project at least 25% faster and 10% cheaper”? And we are left with just one option if we want a good project. A great leader with lots of experience. The problem is that they are quite rare, costly, and even they dont guarantee a good result next time! Over the coming weeks, I will be sending out a series of short articles to summarise what we think should be done to improve the results from capital and construction projects. They are based on the book that I wrote with Robert Bolton, The Executive Guide to Breakthrough Project Management. If you’ve read the book they will act as a quick reminder of the key ideas we wrote about, and if you haven’t, you will learn what our main recommendations are in a condensed form. And I’n not just sending sections of the book out, this will be new material. In the same analysis McKinsey also looked at productivity in construction, and compared it to the manufacturing sector. Over the past 20 years, whilst manufacturing has increased productivity by about 60%, construction has seen productivity fall. This is the same message that came from Tceicholz’s research of the US construction sector between 1964 and 2012. 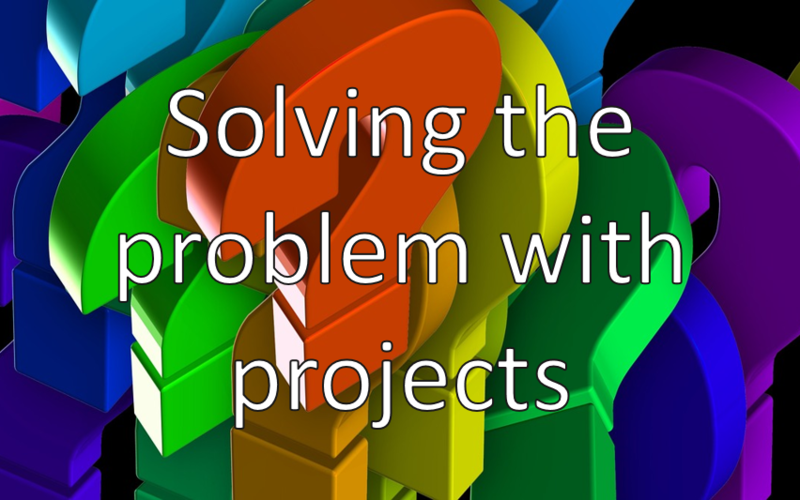 Of course projects can be derailed by changing requirements, or overly-optimistic budgets and schedules. McKinsey analysed this too, and said that of the projects that over-ran and over-spent, in 73% of cases this was due to execution problems – not changes, and not naïve optimism. And what I and Robert have seen in our working lives in fully consistent with these studies – most projects have so much potential to deliver better, faster and cheaper! Where we differ somewhat from the big-brand consultancies is what to do about the problem. It isn’t so much that we disagree with their recommendations, it is just that we don’t think they go far enough, and in particular they don’t seem to have put the existing methods and techniques ‘under the spotlight’. We have, and this is why in the next few emails, I’m not going to tell you to just use today’s accepted best practice, but ‘do it better’. I will be challenging some of the commonly-accepted ‘ deep truths’ of today’s project management practices. I’m going to suggest you stop using some of today’s most common methods, and recommend what they should be replaced by. For many of you, it will challenge what you have been trained in, even how your boss, or client, measures your performance. Without compromising on scope, quality or risk. And not by small increments, we are talking about durations that are 25-35% shorter, whilst costs are 10-15% lower. What are PMO’s and PMCA’s for? NEC Launches Consultation on New Collaborative Contract Form – have your say! Resolving the Construction Resource Problem – WHAT skills do we need more of? How fixed are fixed prices?